on bpm, activity, and style. 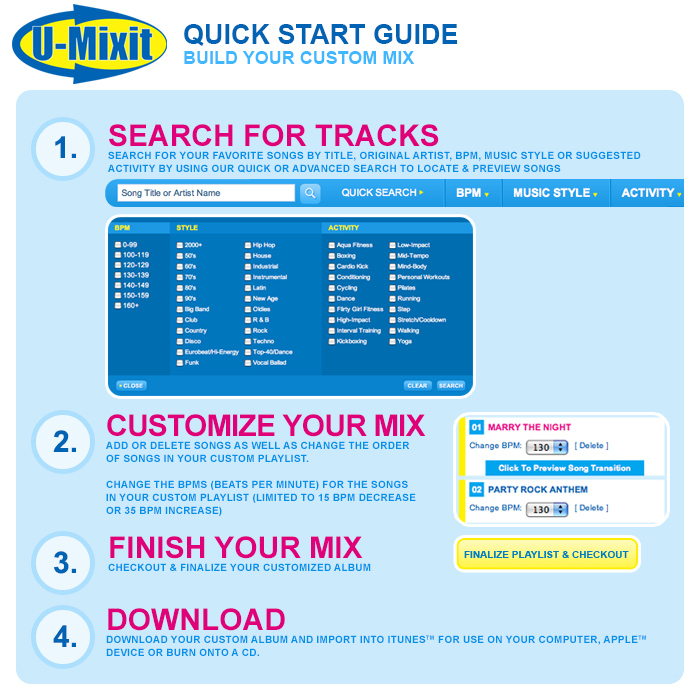 Site designed and hosted by Sequel Design Associates, Inc.
Forgot your Dynamix / U-Mixit password? Submit the form below and an email will be sent with instructions on resetting your password. Keep informed on promotions, new services and events. Please look for a confirmation email. We are constantly adding new music, but if you want a song NOW, let us know! Thank you for sending us your song request!